Asia Pacific CIO of Credit Suisse, John Woods, on what investors can expect for Asia in the second half of the year. John Woods, Chief Investment Officer Asia Pacific at Credit Suisse, recently presented his investment outlook for the second half of 2017. He expects global growth to remain robust in the next six months and core inflation to gradually edge higher in developed markets (DM). Nevertheless, DM central banks appear unfazed and have signaled their intention to continue with policy normalization. In emerging markets (EM), activity growth is softening, especially in Asia. 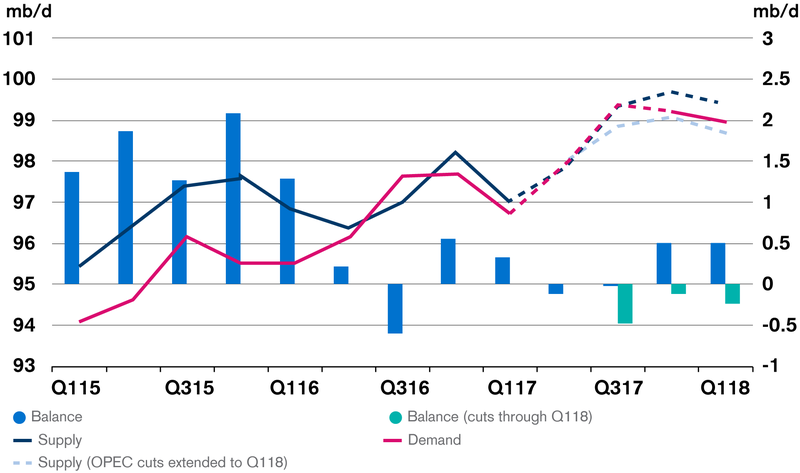 We expect China's growth to slow in H2 due to spillovers from recent regulatory and monetary tightening measures. The financial markets mirror this positive backdrop, with equities making a solid start to the year. Yet bond yields have risen year to date, especially in longer maturities, reflecting investor concerns over potential monetary policy normalization by the US Federal Reserve (Fed) and the European Central Bank (ECB). 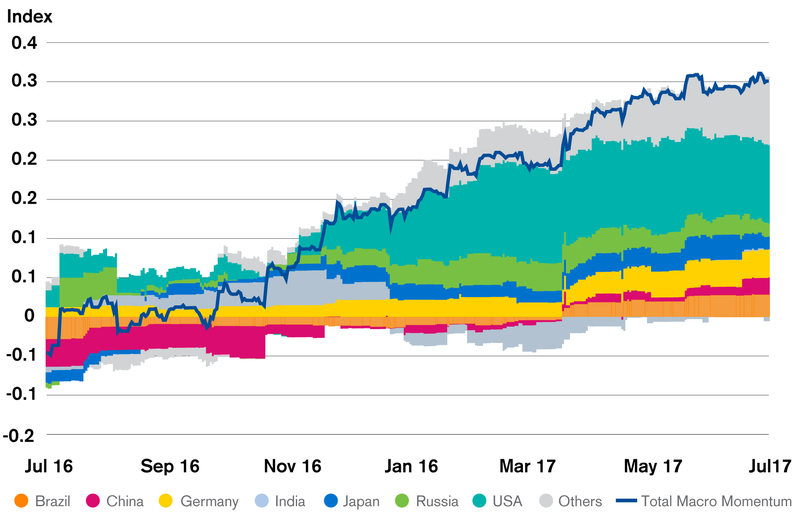 Monetary policy remains very accommodative in DM with the ECB likely to maintain its negative deposit rate and to continue its ongoing asset purchase program until at least year-end 2017, the Bank of Japan likely to keep its yield target in place, and the Fed likely to raise rates gradually over the course of the year. EM policy rates should remain largely stable, with Brazil and Russia being the main exceptions on the easing side. China's deleveraging and The People's Bank of China's hawkish stances will likely continue. Historical and/or projected performance indications and financial market scenarios are not reliable indicators of current or future performance. For oil, speculative positioning is now much lighter and the extension of OPEC supply cuts should accelerate the inventory normalization process, especially through summer. We see tactical upside into the mid-USD 50s but note that uncertainties loom in 2018. Global equities opened on the back of strong economic momentum, high expectations of fiscal expansion under the new US administration, and favorable political outcomes. EPS growth expectations over the next 12 months remain too optimistic, in our view. Additionally, valuations have become expensive since the rally and technical indicators have turned neutral, but low volatility and better liquidity are supportive. Despite the market concerns around tightening liquidity onshore, we believe policymakers are focused on active management of financial markets ahead of the political reshuffle at the 19th People's Party Congress later this year, which should provide downside support. Therefore, we expect the market to remain range-bound in the near term, despite decelerating macro momentum. We expect banks and insurance sectors to outperform the market amidst higher bond yields. The political risk premium in foreign exchange has shifted from Brussels to Washington. 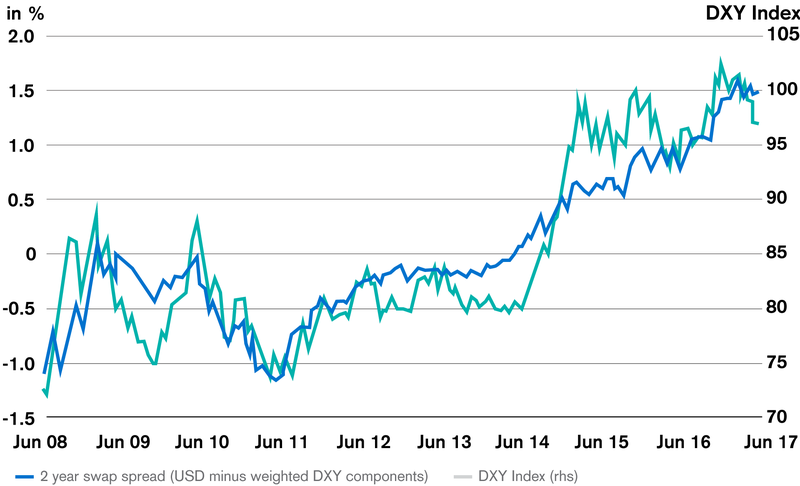 In this context, the USD has had one of its sharpest six-month dips in recent decades. This has helped US exporters and propelled the Nasdaq to new highs. Yet, the lack of an outright sanction of recent EUR strength by ECB President Mario Draghi may embolden buys. This weakens the conviction that the next interest rate differential moves will again be in the USD's favor. Therefore, we have a neutral view towards the USD against EUR, AUD and CHF. We maintain the tactical neutral view on CNY as the PBOC supports the currency by a "counter-cyclical adjustment factor" in order to stabilize the currency ahead of the leadership reshuffle later this year. We expect CNY to slightly appreciate over the next three months and forecast USD/CNY at 6.70 while retaining our 12-month negative view with a revised forecast of 7.20. Asian fixed income posted solid total returns YTD and continues to benefit from domestic search for yield. 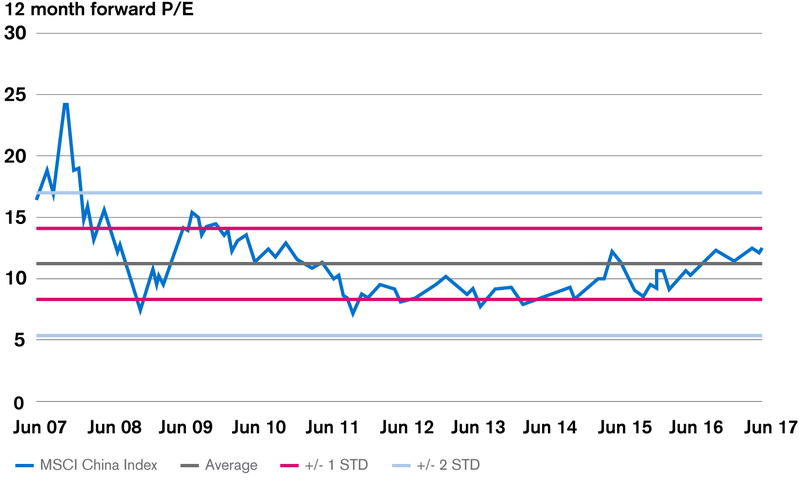 Within Asian USD corporate bonds, we forecast lower returns compared to H1 and continue to prefer investment grade over high yield credits based on fundamentals and valuation. In this environment, we prefer to keep duration short in USD bonds. USD preferred shares have posted a strong performance since we recommended them as a diversifier to Asian USD HY Corporates. Asia Pacific Chief Investment Officer of Credit Suisse, John Woods, on what investors can expect for Asia in the second half of the year. This material has been prepared by Credit Suisse AG ("Credit Suisse") as general information only. This material is not and does not purport to provide substantive research or analysis and, accordingly, is not investment research or a research recommendation for regulatory purposes. It does not take into account the financial objectives, situation or needs of any person, which are necessary considerations before making any investment decision. The information provided is not intended to provide a sufficient basis on which to make an investment decision and is not a personal recommendation or investment advice. Credit Suisse makes no representation as to the suitability of the products or services specified in this material for any particular investor. It does not constitute an invitation or an offer to any person to subscribe for or purchase any of the products or services specified in this material or to participate in any other transactions. The only legally binding terms are to be found in the applicable product documentation or specific contracts and confirmations prepared by Credit Suisse. (iii) pay, or may have paid, or receive, or may have received, one-time or recurring remuneration from the entities specified in this material, as part of its/their compensation. These payments may be paid to or received from third parties. Credit Suisse and/or its affiliates (including their respective officers, directors and employees) may be, or may have been, involved in other transactions with the subject entities specified in this material or other parties specified in this material which are not disclosed in this material. Credit Suisse, for itself and on behalf of each of its affiliates, reserves the right to, provide and continue to provide services, and deal and continue to deal with the subject entities of the products specified in this material or other parties in connection with any product specified in this material. Credit Suisse or its affiliates may also hold, or may be holding, trading positions in the share capital of any of the subject entities specified in this material. A Credit Suisse affiliate may have acted upon the information and analysis contained in this material before being made available to the recipient. A Credit Suisse affiliate may, to the extent permitted by law, participate or invest in other financing transactions with the issuer of any securities referred to herein, perform services or solicit business from such issuers, or have a position or effect transactions in the securities or options thereof. To the fullest extent permitted by law, Credit Suisse and its affiliates and each of their respective directors, employees and consultants do not accept any liability arising from an error or omission in this material or for any direct, indirect, incidental, specific or consequential loss and/or damage suffered by the recipient of this material or any other person from the use of or reliance on the information set out in this material. None of Credit Suisse or its affiliates (or their respective directors, officers, employees or advisers) makes any warranty or representation as to the accuracy, reliability and/or completeness of the information set out in this material. The information contained in this material has been provided as a general market commentary only and does not constitute any form of regulated financial advice, legal, tax or other regulated service. Observations and views contained in this material may be different from, or inconsistent with, the observations and views of Credit Suisse's Research analysts, other divisions or the proprietary positions of Credit Suisse. Credit Suisse is under no obligation to update, notify or provide any additional information to any person if Credit Suisse becomes aware of any inaccuracy, incompleteness or change in the information contained in the material. To the extent that this material contains statements about future performance, such statements are forward looking and subject to a number of risks and uncertainties. Past performance is not a reliable indicator of future performance. This material is not directed to, or intended for distribution to or use by, any person or entity who is a citizen or resident of, or is located in, any jurisdiction where such distribution, publication, availability or use would be contrary to applicable law or regulation, or which would subject Credit Suisse and/or its subsidiaries or affiliates to any registration or licensing requirement within such jurisdiction. Materials have been furnished to the recipient and should not be re-distributed without the express prior written consent of Credit Suisse. For further information, please contact your Relationship Manager. AUSTRALIA: This material is distributed in Australia by Credit Suisse AG, Sydney Branch solely for information purposes only to persons who are "wholesale clients" (as defined by section 761G(7) of the Corporations Act. Credit Suisse AG, Sydney Branch is regulated by the Australian Prudential Regulation Authority as an Australian branch of a foreign authorised deposit-taking institution ("Foreign ADI"). As a Foreign ADI, deposits made with Credit Suisse are not covered by the provisions of Division 2 of the Banking Act 1959 (Cth.) entitled "Protection of Depositors" and accordingly, deposits with Credit Suisse do not have the benefit of those depositor protection provisions of the Banking Act. HONG KONG: This material is distributed in Hong Kong by Credit Suisse AG, Hong Kong Branch, an Authorized Institution regulated by the Hong Kong Monetary Authority and a Registered Institution regulated by the Securities and Futures Commission, and was prepared in compliance with section 16 of the "Code of Conduct for Persons Licensed by or Registered with the Securities and Futures Commission". The contents of this material have not been reviewed by any regulatory authority in Hong Kong. You are advised to exercise caution in relation to any offer. If you are in any doubt about any of the contents of this material, you should obtain independent professional advice. No one may have issued or had in its possession for the purposes of issue, or issue or have in its possession for the purposes of issue, whether in Hong Kong or elsewhere, any advertisement, invitation or material relating to this product, which is directed at, or the contents of which are likely to be accessed or read by, the public of Hong Kong (except if permitted to do so under the securities laws of Hong Kong) other than where this product is or is intended to be disposed of only to persons outside Hong Kong or only to "professional investors" as defined in the Securities and Futures Ordinance (Cap. 571) of Hong Kong and any rules made thereunder. This material is distributed in Singapore by Credit Suisse AG, Singapore Branch, which is licensed by the Monetary Authority of Singapore under the Banking Act (Cap. 19) to carry on banking business. (iv) Sections 25 to 29 and 36 of the FAA (pursuant to Regulation 36(1) and (2) of the FAR). Singapore recipients should contact Credit Suisse AG, Singapore Branch for any matters arising from, or in connection with, this material including the Appendix, where applicable. The entire contents of this document are protected by copyright law (all rights reserved). This document or any part thereof may not be reproduced, transmitted (electronically or otherwise), altered or used for public or commercial purposes, without the prior written permission of Credit Suisse. © 2017, Credit Suisse Group AG and/or its affiliates. All rights reserved."